In all our elevating roof T6 conversions there is an option to choose an upper level bed that will sleep two adults with a combined weight of 150kg. At 190cm (6ft 1”) long and 113cm (3ft 8”) wide there’s enough room to sleep with decent comfort. 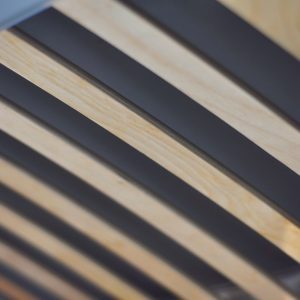 All our elevating roof beds have a beech slatted bed base which gives extra comfort whilst sleeping, as well as giving breathability to the underside of the bed mattress – preventing musty smells from trapped condensation. 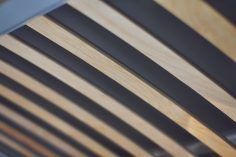 We also maximise the depth of the roof bed mattress at 35mm (1.5”) to give you the best comfort we can. 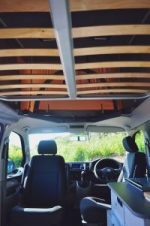 With the elevating roof raised, all that is needed is a gentle push for the whole bed platform to rise simply up from its flat sleeping position to stow self supported on gas springs in the elevating roof space. This solution gives you instant headroom during the day with no hassles of folding and rearranging bed platform bases. Safety is also an important factor to consider for when you’re driving the vehicle, as objects that are not secured down can easily become very dangerous projectiles in the event of an accident. 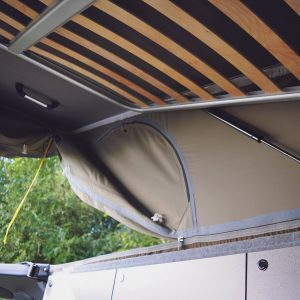 A fully secured and bolted in roof bed platform will give you peace of mind, whereas separate removable bed board pieces found in some campervans could potentially be lethal. 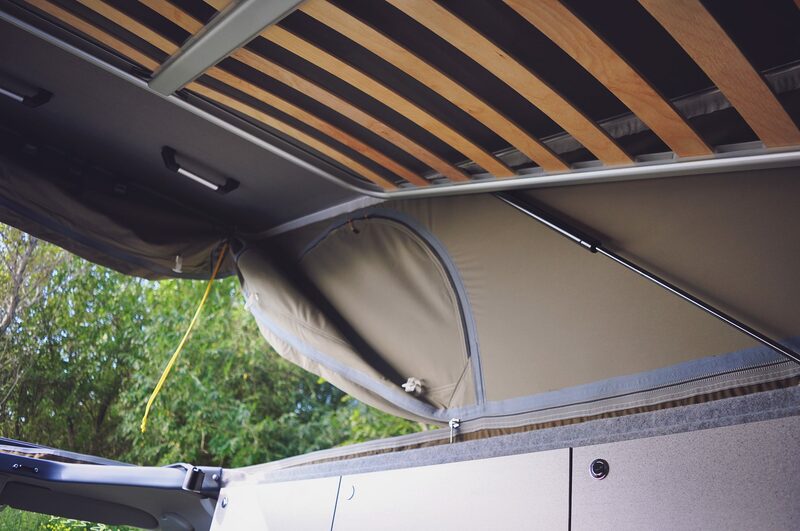 During the daytime with the elevating roof up bedding isn’t a problem, as it can simply stow away in the very rear upper section out of the way until you need it again at night. 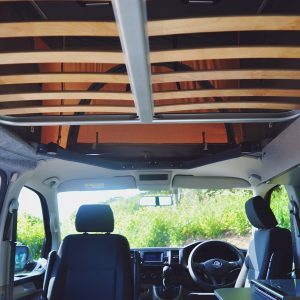 When the roof is down, as we maximise the depth of the roof bed mattress, your bedding will have to be stored in the lower section of the campervan. If you have small children in a roof bed you may want to consider a safety net. This fixes onto the leading edge of the roof bed and attaches up onto the underside of the elevating roof. With rucksack belt style clips to release it, the net will keep both small children, pillows and toys from falling out!